hackers-presumably sponsored by the Chinese government-is another. Together, they point to a new era in the evolution of human conflict. In Cybersecurity: What Everyone Needs to Know, noted experts Peter W. Singer and Allan Friedman lay out how the revolution in military cybernetics occurred and explain where it is headed. They begin with an explanation of what cyberspace is before moving on to discussions of how it can be exploited and why it is so hard to defend. Throughout, they discuss the latest developments in military and security technology. Singer and Friedman close with a discussion of how people andgovernments can protect themselves. 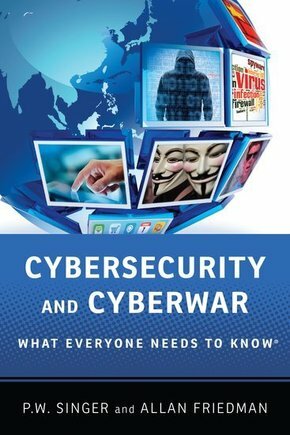 In sum, Cybersecurity is the definitive account on the subject for the educated layman who wants to know more about the nature of war, conflict, and security in the twenty first century.